A super cool hotel! 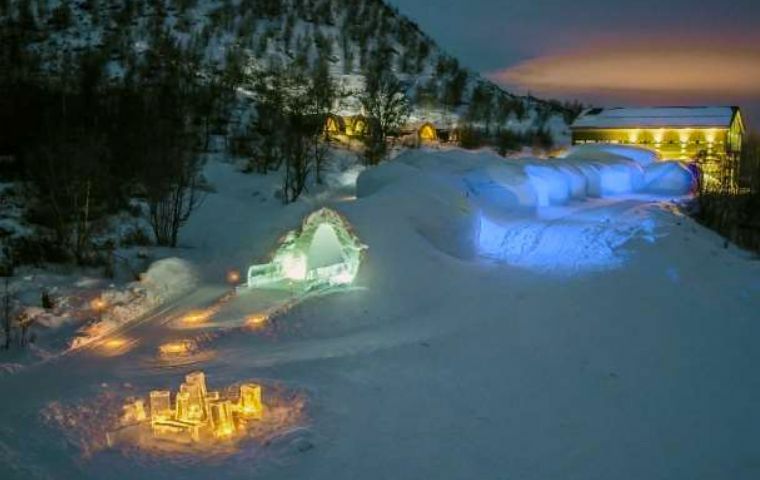 Yes, a corny pun, but Norway’s Kirkenes Snowhotel is an amazing creation and well worth a place on your bucket list. Carved every year out of more than 15 metric tons of ice, each of the 20 rooms has a different theme and there are amazingly detailed ice sculptures throughout the hotel. Though it may look like you’ll be sleeping on blocks of ice, the beds actually have comfortable mattresses with thermal insulation on top and a sleeping bag graded for -35 degrees Celsius. Transfers, dinner, breakfast, and reindeer visits are included in your stay. A range of option tours like Arctic King Crab Fishing, Husky Tours, Ice Fishing, and Hunting the Northern Lights are also offered. An experience to remember – unique and ultra cool!